Right now I’m most enamored with rhubarb. It makes me think of my grandparents who had a farm in western New York. 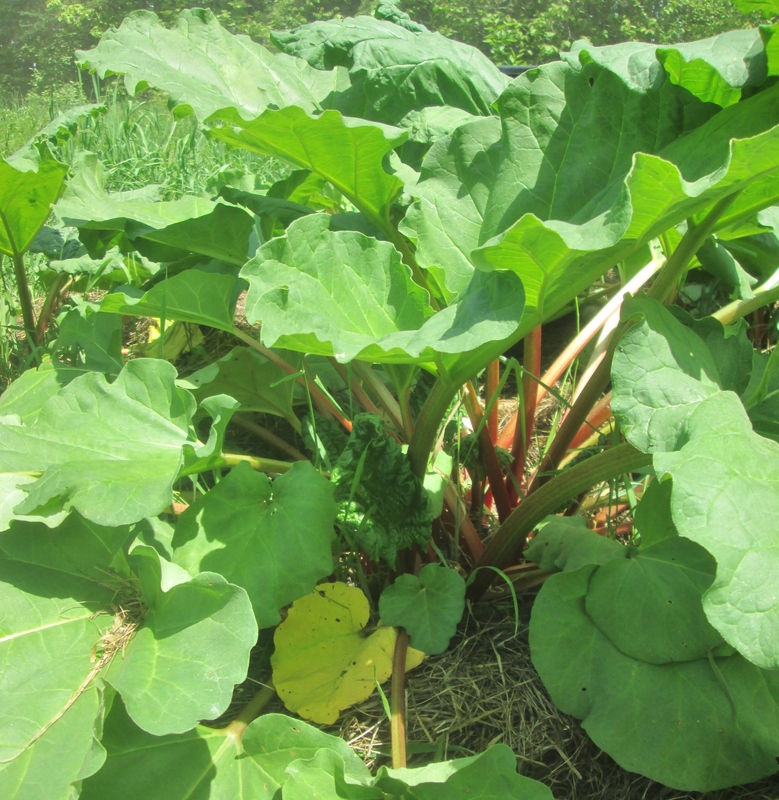 Their rhubarb patch was in the tall grass across the road from the house. It was never weeded or fussed over. My dad tells me that every spring my grandpa would park his manure spreader beside the patch and just empty it out and then every so often he’d run a plow through to divide the root clumps. When I first got my plants I fussed over them. I weeded them ever so thoroughly. I just wouldn’t leave them alone, and when the next spring came around almost a third of them didn’t come up again. Turns out rhubarb likes neglect. You can treat it rough but give it some space. My grandpa used to stew his rhubarb with a little sugar and maybe serve them with biscuits, or maybe just in a bowl with a spoon! Growing heirloom bramble fruits, pie plants, blueberries, raspberries, elderberries, currants, gooseberries and sweet herbs.